With the rapid growth of data in size and complexity, that are available on shared cloud computing platform, the threat of malicious activities and computer crimes has increased accordingly. 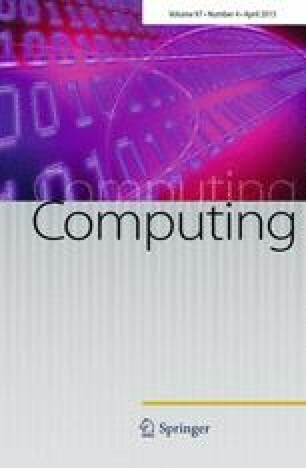 Thus, investigating efficient data visualization techniques for visual analytics of such big data and visual intrusion detection over data intensive cloud computing is urgently required. In this paper, we first propose a new parallel coordinates visualization method that uses arced-axis for high-dimensional data representation. This new geometrical scheme can be efficiently used to identify the main features of network attacks by displaying recognizable visual patterns. In addition, with the aim of visualizing the clear and detailed structure of the dataset according to the contribution of each attribute, we propose a meaningful layout for the new method based on singular value decomposition algorithm, which possesses statistical property and can overcome the curse of dimensionality. Finally, we design a prototype system for network scan detection, which is based on our visualization approach. The experiments have shown that our approach is effective in visualizing multivariate datasets and detecting attacks from a variety of networking patterns, such as the features of DDoS attacks.